BlackWidow Elite: The latest flagship update to the BlackWidow line, the BlackWidow Elite features the new Razer Mechanical Switch, which brings dual side walls to every switch. First introduced in 2017, these side walls increase the stability and consistency of the switch and reduce key wobble, without sacrificing performance and key feel. 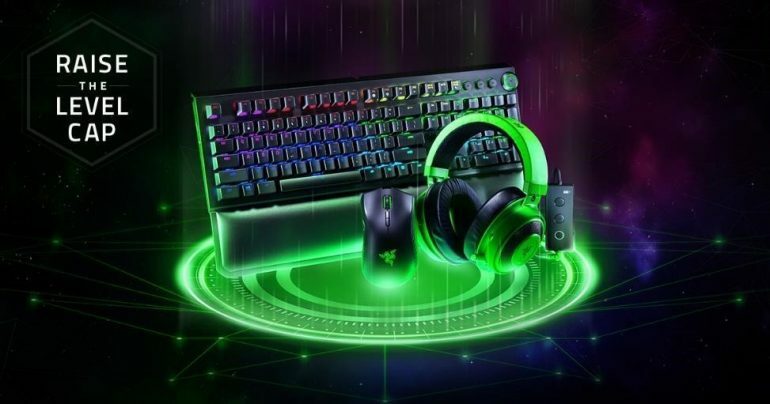 Users will be able to enjoy more input options than ever thanks to Razer Hypershift technology – which turns every key into a macro key – and a programmable, multi-function digital dial. Mamba Wireless: The renowned Razer 5G Advanced Optical Sensor is now available in a standalone wireless version of the Razer Mamba. With the Razer Mamba Wireless, you get up to 50 hours of industry leading wireless gaming performance on a single charge—at our most competitive price to date. With 450 IPS and 50 G, gamers never need to worry about their cursor spinning out due to fast mouse movements. Co-developed with Pixart, the sensor is highly regarded by critics, experts and fans renowned for maintaining tracking and precision even during intense gameplay. Kraken Tournament Edition: The Razer Kraken Tournament Edition is the complete competitive gaming headset equipped with full audio controls. It’s designed to deliver Accurate Positional Audio via THX Spatial Audio, Greater Sound Customization with Game/Chat Balance and Bass Control, and Superior Comfort with its Cooling Gel Cushions. Put together, the Razer Kraken Tournament Edition provides everything a gamer demands from a well-rounded gaming headset. Razer is listed on the Hong Kong Stock Exchange (Stock Code: 1337).